How do we attain Joseph Schumpeter’s ideal of market forces, “creative destruction”, rather than slowly stagnate? In Europe, we have particular problems balancing economic policy with labour productivity. Are we in danger of Europe landing on the ‘scrapheap’ of the global economy? Is current European policy neglecting capital productivity as a superior effect on the “wealth of nations”? Professor Seifert intends to explore the relationship between productivity and the capital markets. He will argue that while it is essential to have an integrated perspective of all factors that determine the wealth of nations, only if its capital markets unfold their full potential will Europe not fall further behind its global competitors. This is the 2006 Sir Thomas Gresham Docklands Lecture. Professor Seifert began his career with McKinsey & Co, moving later to Swiss Re. From 1993 to 2005 Professor Seifert was CEO of Deutsche Börse. As CEO, Professor Seifert transformed the Frankfurt market from a local market into one of the most important exchanges in the world. He developed the successful electronic trading platform Xetra and integrated the futures exchange Eurex into the firm. Professor Seifert has a reputation as a visionary and strategic thinker, but he has also shaped thinking about what it means to be a financial market, for instance Deutsche Börse floated well before its main rivals, the London Stock Exchange and Euronext. Of course Professor Seifert particularly caught the attention of the City of London when he tried to merge Deutsche Börse with the London Stock Exchange in 2000 and led Deutsche Börse’s controversial takeover discussions with the London Stock Exchange in 2005. 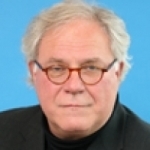 Professor Seifert resigned from Deutsche Börse last year, though he remains active in a number of professional capacities, for instance as a Member of the Advisory Board for the Monetary Authority of Singapore and as a Professor for Capital Market Theory at the European Business School. Professor Seifert is a modern renaissance man and a noted jazz musician. He has published frequently including a sweeping new vision in his (co-authored) book “European Capital Markets” published in English in 2000 and a factual thriller about hedge funds and markets, “Invasion der Heuschrecken” (“Invasion of the Locusts”), coming out in 2006. Gresham College was set up as a result of the Will of Sir Thomas Gresham over 400 years ago to provide free education for those who live and work in the City of London, and here we are, still interpreting what that means. Of course the City now has, in part, moved geographically to the Docklands area of London, so Gresham College has come here too. The range of issues with which education should properly be concerned has been extended over the centuries: commerce, and all that goes with that, is the main point of focus for much of our activity. We are very pleased that this, the third Sir Thomas Gresham Docklands Lecture, will be given by Professor Werner Seifert, a very distinguished speaker. I am delighted to welcome Professor Seifert to London. We look forward very much indeed to the lecture. The order of proceedings will be roughly this: we have two awards that we will present. This is a new departure for the College, but will explain about these in just a moment; and immediately after those, the lecture will be given by Professor Seifert, after which Michael Mainelli, who is the Gresham Professor of Commerce, will be responding. The first of the two awards to be given tonight is the Gresham Prize, which is, in this case, a certificate of commendation and recognition of quality. What we are recognising is the quality of the Enhanced Analytics Initiative. This important Initiative is at the heart of what happens in the City of London. It is concerned with the question of how one invests wisely, safely, helpfully, appropriately, but with the long term in mind, not simply the short term and next year’s results; a key question surely that all of us should wisely ponder. The Initiative in fact consists of a group of like-minded investment companies and investors coming together and talking through the issues and planning for the future. For the Farsight Award that follows, I will invite Sir Paul Judge to the platform to make the presentation, and he will tell you a little about that award. We are deeply indebted to him for chairing the panel that decided who the winner should be. But now we move on to the Enhanced Analytics Initiative and the award of the Gresham Prize, and I invite Mr Tom Merchant, from the Universities Superannuation Scheme, to the platform. Thank you, Lord Sutherland. I and USS are delighted to accept the Gresham Prize on behalf of the membership of the Enhanced Analytics Initiative, which as we have heard is an act of collaboration between asset owners and asset managers. I would like to thank Gresham College for recognising the important contribution that the Enhanced Analytics Initiative has made to incentivising and generating long term and extra financial investment research. At USS, we are very proud at the success that the Initiative has had, which has seen the volume of research dramatically increase in the two years that the Initiative has been in place. We are about to hear of some of those successes with the Farsight Award. We should not, and will not, rest on our laurels; there is still much to do to improve the research to fund managers with the aim of ensuring that we make better long term and sustainable, with the full impact of that word, investment decisions. USS and EAI will continue with our involvement. Again, thanks to Gresham College. London is now the pre-eminent international financial centre. Tokyo, like New York, relies mainly on business from its large domestic economy. Part of the continuing appeal of London is its cosmopolitan status. We call it the “Wimbledonisation”; we supply the courts, and unfortunately they provide the players. But in contrast to the other centres, London really is global. 70% of the global secondary bond market comes through the City; 40% of the world’s derivatives markets; 40% of cross border equities; 30% of the world foreign exchange business. To put that in context, every day in London, over $1 trillion of foreign exchange is traded, whereas New York can only manage a measly $500 billion. London has a history as a trading and financial centre over the last three centuries, with its tradition of openness, internationalism and flexibility. You might ask why does London still have this pre-eminent position. Is it our weather? Is it our transport system? Is it the benevolence of the Health and Safety Inspectors? Probably none of those things. When the City of London Corporation did its most recent survey, quite clearly the thing which attracted businesses here was the skill of the workforce, but that workforce has hugely changed. Over half the workforce in the City now is aged 31 or under, and over half the workforce was born outside the UK. Because of that importance and that internationalisation, the next Lord Mayor, John Stuttard, has chosen as his theme for his year the motto “City of London: City of Learning”. He gas asked me to chair that theme and to bring together about 50 organisations in the City which provide the core of all the education, which provide the skills, which provide the professionalism. One of the other things with which I have been involved was the founding of the Judge Business School at Cambridge, and one of our key objectives there was also to show the long term investment nature of free enterprise in particular, Most of the long term improvements in the world have come from free enterprise, from the private sector: roads, railways, canal systems, evens sewage works, airports, telecoms. The private sector can genuinely take the long term view but, despite that, there is far too much of the modern pressure making people take the short term view, and the private sector, and not least the City, is often criticised for that short term perspective. So we are here tonight to try to correct that imbalance. The Farsight Award is a joint project of the Universities Superannuation Scheme and Gresham College, with the support of Z/Yen Ltd. The objective of the Farsight Award is to honour the best individual piece of analysis by an investment research institution which integrates traditional financial analysis with longer term issues. The concept is to award a “Man Booker” type of prize for the best read in long term research. It builds on the success of the Enhanced Analytics Initiative, about which you have just heard and which represents 21 investment firms and pension funds with over $1 trillion in assets. Two years ago, the members of the EAI pledged 5% of their brokerage commissions to rewarding long term research, and this courageous decision is behind this award tonight. Over the past three months, the EAI members have submitted outstanding pieces of research, of analysis, to the judges. The research covered issues such as nanotechnology, global water shortages, global logistics, alternative energy, sustainable mining, obesity, environmental liabilities, and climate change. The judges evaluated 11 exemplary research submissions from the investment firms Dresdner Kleinwort, Nikko Citigroup, Innovest, West LB, Bernstein Research, Goldman Sachs, Citigroup, Shevra, JP Morgan, and CLSA. They had to read nearly 1,000 pages of investment research, and the criteria were originality, quality, readability and clarity, sophistication and depth, and financial usefulness. The Farsight judges are all very eminent. They have asked me to extend their sincere appreciation of the quality of the work behind all the submissions. To come to the award itself, firstly, there is an honourable mention to three pieces of research which they felt, although not the winner, had made a significant contribution to long term investment decisions. Those three are: Nanotechnology from Innovest, written by Heather Langsner and Sondra Martines; Mobility in a Flat World from West LB, written by Dr Heindrick Gass and Claudia Volk; and Obesity from JP Morgan, written by Arno Langoir, Pablo Zuneck, John Falsher, Celine Panuite, and Josh Shannon. Those three were commended, but obviously there has to be an overall winner. I am very pleased to announce that this year’s winner of the Farsight Award is ‘Towards Sustainable Mining’ from Citigroup, written by Heath Janson, Mike Tyrel and Alan Heap. The members of the panel were particularly pleased with Citigroup’s report, as they felt it set out a framework for analysing sustainable investment opportunities in a very difficult sector, that of mining. I will ask you to congratulate Citigroup with me in a moment, and I am very pleased to present Heath Janson with the Farsight Award. May I also ask you of course to thank the judges for all their work. It was an excellent contest this year. We obviously hope that next year it will be even better, with other submissions surrounding the long term issues of financial analysis and investment. Please now welcome Heath Janson from Citigroup to receive the award. Thank you very much, Gresham College, in recognising us for this award. I would also like to thank Mike Tyrel, who is our Socially Responsible Investment analyst, and Alan Heap, our commodity analyst who resides in Australia. As you can probably tell from my accent, I am one of those 50% minority that was born outside the UK. I actually came to the UK because the UK mining companies keep taking over the Australian mining companies, so I was really coming here to join them rather than try and beat them. I began my career in about ’93 as a chemical engineer, and I am sorry to say that I think when I joined the mining industry, it was very much acceptable that we injured people and often killed people, and also that we damaged the environment in extraction. I would say the mining industry has come a long way in the last 14 years, but it is still very polarised; there are very much two schools of understanding of exactly what the impacts are. Certainly that is what we were trying to achieve with this report; trying to quantify that for the mainstream analysts, and put this report directly in between what has traditionally been the SRI component, sustainable development, and what that actually means for equity investors, because I think for the equity investors, they understand that these issues, such as the countries that you operate in, sustainable governance, even commodity demand and changes, are important. It was trying to come up with a valuation metric to assess that risk, and that is what we were aiming to achieve in this report. Hopefully we have come some way in achieving that, and clearly this is going to be an ongoing process for us. It is a learning process as we go through it. We are looking forward to continuing it over the next few years, and really driving hopefully some changes in behaviour. While the mining industry is polarised, every CEO and senior management person that I meet is very cognisant about their share price, and if we can get them to understand what sustainable development means and how to value that, I think we can actually bring about some changes. Professor Mainelli, ladies and gentlemen, productivity is key to escape from starvation and poverty, early death and social crisis. Let us look back 180 years: per capita income in England was $1,700 in today’s purchasing power; in Germany, $1,100; or 5% of today’s value. In other terms, what we earn today in three weeks had to last for the entire year, and all this for 60 hours per week of hardest manual work, with a high risk of being injured on the job, often as well for women and children. Small wonder that life expectancy was not much over 30 years, that two out of five children died in the first year, and that the son of a wealthy industrialist, Friedrich Engels, turned out to become the co-author of the Communist Manifesto. Today, we work less, on the average 32 hours. Due to shorter working hours, long vacations, health cures, bank holidays: all in all, about half of the time our forbearers spent on their jobs. Child labour is of the past. Instead, young people take on a job in their mid-twenties, after extensive education, and, once becoming a pensioner, can look forward to decades of this form of life due to enormously increased life expectancy. The driving factor for all this is to the largest extent increased productivity. Today, we achieve 40 times more per working hour than our forbearers, and consume half of it through higher spending, the other half in the form of leisure time. Against this background, ladies and gentlemen, I picked the heading “Productivity and Capital Markets: Globalisation Meets Parish-Pump Politics” for my remarks, and I would like to share a couple of thoughts with you. I must warn you it will take me a bit of time, probably a bit more than you are used to in the average speech in London. You will not disturb me by looking at your watches while I am elaborating on these thoughts, but thank you for not shaking them to make certain that they are still going! Let me first talk about productivity and the wealth of nations. Let us recall the correlation between productivity and the wealth of nations, because it is crucial to understand how economic performance can be boosted. A resource intensive form of growth based on a huge input of labour and capital can be confronted with a technology driven one. The forced industrialisation of the Soviet Union under Stalin in the ’Twenties and ’Thirties of the last Century may serve as a showpiece for boosting production through a one-sided allocation of resources in the form of extreme limitation of consumption, a duty to save, and brutally enforced increase of labour input. However, another, less dramatic, example is the growth experienced by some East Asian countries after World War II. Until the early ’Nineties, the Asian Tigers have been admired with sceptical amazement: once poor colonies like Singapore transformed themselves into modern wealthy countries, partly with a higher income per capita than their old colonial powers. Their input of resources was enormous as well. Until recently, Singapore’s saving rate was more than 40%. However, investment was not only directed into infrastructure and machinery. Within 40 years, a nation whose people could hardly write and read became highly educated. While half of the workforce had no formal education at all in the ’Sixties, two-thirds of all Singaporeans had a high school degree by 1990. And finally, labour input increased sharply. The share of working people nearly doubled, from 27% of the entire population to 51% during this period. This model of resource-intensive growth practised by Singapore, or the Soviet Union, however, has its limits. The savings rate cannot reach 100%, and in the year 2030, not every Singaporean can be an engineer. Therefore, technology-driven growth can boost production stronger and without limitations, by investing capital more intelligently and organising labour smarter. To escape from under-development may work with resource-intensive strategies for some time, but already highly developed industrial countries have no choice than to work more intelligently and thus more productively. Not long ago, economists joked that one can see computers everywhere but in the productivity statistics, but the US proved them wrong by growing so fast due to technological changes that in theory inflation had to rise. The labour market was swept empty and wages rose fast, but, due to higher productivity, pressure on profit and prices failed to materialise. Thus an expensive monetary policy could be maintained. The impressive increase in productivity in the US demonstrates that already highly developed countries are not condemned to stagnation. Europe lags behind, or, should I say Continental Europe, leaving to you to judge to which degree my conclusions are relevant for your country as well. The upswing is largely weak, inflation is catching up, and there are not many indications that a productivity revolution is taking place. Where is the next technology-driven economic miracle? Can Europe counter the US success with resignation only and the defiant pride of its social achievements? That brings me to my second thought, which is, in a nutshell, the distorted picture of labour productivity. Labour productivity, as we all know, is a prominent issue for politics and unions. At first glance, those statistics tell us labour productivity is the hottest non-issue. According to some of them, for instance, German and French labour productivity is even higher than in the US. This would mean that the overall smaller economic performance of both countries is a result of shorter working hours only and that would not matter. Should grown-up people consume the reward for their work in the form of money or leisure time? Let me make a small digression. How tall is the average American? Precisely 198.7cm. You cannot believe this? Much too tall? I retrieved this number from a reliable source, a databank collecting the heights of hundreds of Americans, from all walks of life, all sorts of education, all regions, and the average height, I cannot help this, is nearly 2 metres. Which source am I referring to? The biographical data of the players of the National Basketball Association. Pure nonsense? Certainly, because we all know that excellent performance in basketball is only achievable for tall guys. It does not come as a surprise that Mike Jordan is 198 cm tall, and most of us could not make a living in this profession. Pretty obvious. Nevertheless, we are daily taken in by similar flaws in reasoning: for instance, when people get enthused about high labour productivity, for instance in Germany. Per working hour, so the OECD is confirming, the Germans achieve 36% more than the Spaniards, 15% more than the Brits, and still 9% more than the Swiss. Who then still wants to nitpick and complain about high wages and the lowest working hours worldwide? There is just one snag: how many of these highly productive forces are around? Only about 69% of those counted are in somebody’s employ. The corresponding number for the UK is 74%, for Japan and the US 78%, for Switzerland 82%. Compared to other developed countries, too many potential workers are excluded when it comes to measuring labour productivity. And, again, the Mike Jordan problem pops up. High wages are not alone the price for high productivity. It works the other way round as well. Because wages are so high, only the most productive work, only the most consequent rationalisation does the trick. The remaining work is shipped abroad. Wherever minimum wages have been introduced, productivity has increased thereafter, because those have to stay at home now who are not productive enough, be it due to educational disadvantages, technical disabilities, or lacking creativity. On top, this part of the workforce is functionally and geographically not very flexible. Therefore they do not find productive employment somewhere else. And also, the weaker members of society are excluded from the labour market. The upper class of employed workers celebrates its superior productivity. How serious is this effect in a holistic perspective? There is no doubt that European workers would be amongst the most productive in the world, even without distortions from the Mike Jordan effect. The employment level of European countries is also depressed due to long education periods, military service, early retirement and other factors. Paul Krugman joked recently that the modern German economic miracle is constituted by the fact that, despite high level of wages, social security benefits and all regulations, still some jobs are left. In a somehow autistic manner, the wage cartel of employers and unions drives up the price for labour, and most of the productivity increase is simply self-deception. But we are not any longer in the ’Seventies, when labour markets have been isolated. Today, we are encountering the globalisation of labour markets, facing over 600 million workers alone in China and India competing with 400 million peers in the industrial countries. Wages and standards of living will therefore converge. Ironically, the old claim of the Leftists that the same work must be compensated the same elsewhere is now fulfilled by the capitalists, but in a global scope. China and India will end the self-deception of unions and politicians from the outside over the next ten years. Not only will wages collapse for low skilled work, but also for highly skilled work, and the longer they are kept up artificially, the more will unemployment increase. This brings me to my next thought. I would like to talk about capital productivity, which is an under-estimated source of productivity. Labour productivity in Europe is also high because an enormous amount of capital per worker is invested. One example: compared to the US, roughly 10% more capital per worker is employed in Germany. Also, the overall economic performance is clearly lower there. The use of capital, however, burns out a part of the production itself, therefore the saving rate must be higher while there is less for consumption. In comparison between these two countries, German production per unit of capital invested is significantly lower. This is the case for every unit of capital; each telephone cable, each printer, or what-have-you, generates less value-added than in the US. At high purchase prices for the installed base of capital goods, due to a cultural preference for extremely high quality, long lasting equipment and machinery, supported by generous depreciation rules and aggravated through the safety standards of over-regulated product markets. And last, but not least, short working hours; since every machine is running fewer hours than in the US, its productivity must be lower. Finally, the allocation of capital is less efficient. Tax laws are tempting people to invest in tax shelters, which are not enhancing productivity. Most companies are not publicly listed and thus governed by the market. They have invested big time over decades, due to generous financing by the banks, and even more generous depreciation rules, and they hardly had a choice. Given the exorbitant wage level, only the most modern, best factories and technologies, staffed with highly qualified workers, could work domestically at a profit if domestic production was still an option at all. But, ladies and gentlemen, differences in capital productivity cannot last for ever. Globalisation, with its manifold interlinks, is a reality. The old world, with fixed exchange ratios and limitations in international capital transfers, is gone and will not come back. In a world without limitations, the transfer of capital is a fact, and Germany and other European countries must face the fact that capital is still much more mobile than labour; also labour is catching up faster than we all expected, and much more attention must therefore be paid to the concept and the level of capital productivity. Capital, once invested, remains where it is, but new investments take place, where capital productivity is highest. It is good that German companies invest abroad, but it is alarming that the rest of the world is not investing in Germany. Anglo-Saxon private equity companies buying under-valued German assets should not be mistaken with investments creating new jobs. Over the last decade or so, the OECD numbers suggest that Germany has become growth champion in the net export of direct investments. Will this country, and to a smaller extent the fellow European countries, have to endure an agonising meltdown of its capital stock due to a lack of new investments? Stagnation would be the result. Any adaptation of the industrial structure will take place very slowly; too slowly. There are no simple solutions, but the necessary adaptations could be lessons, and even accelerated, if capital productivity and financial markets would be better understood and taken more seriously by politicians and union leaders. Let us start with the key question: what is the secret of prosperity? Why are the rich rich, and the poor poor? Why are we richer than 180 years ago, despite the fact that we work considerably less? We are employing more capital per capita today, as well as an enormous amount of technological innovations driving up productivity. Much more important is the technological process. About 70 to 80% of the additional production seems to be resulting from this source. In global terms, it is hard to overstate the significance of productivity developments. The technology-fuelled acceleration in productivity transformed economists’ and policymakers’ understanding of how fast a mature economy can grow and helped power a consumption boom that was instrumental in lifting millions out of poverty in export-oriented countries, above all in Asia. To put this into perspective and proportion, US economists are debating if the assumed productivity growth for the years to come has to be adjusted downwards a little bit. This would result in a quarter point less US growth for the next 2.5 decades or, in money terms, roughly 1,700 billion less in annual output in 25 years from now. By comparing the elements of economic growth, it becomes obvious why it is this kind of getting richer, why a technological progress, why a new division of labour, why economies of scale, and all this, is less developed in Europe. The economic miracle of Germany in the ’Fifties and ’Sixties was driven by higher productivity. Thereafter, growth of capital resources has slowed down considerably, labour input has dropped, and as a result the total factor productivity, which is a good indicator for our technological progress, nearly stagnated compared with the 3.3% annual growth rate in the post-War era. The situation in France and Italy, and in other countries, looks similar. These facts lead to the following interpretation: highly regulated labour markets boost labour productivity and hamper capital productivity. Is this a zero sum game? The development of total factor productivity in Europe is not supporting this. A higher labour productivity cannot make up for lower capital productivity. Is there a systematic correlation between the level of revelation on labour markets and the overall economic growth of a nation? Where labour markets are more flexible, productivity grows faster. In other words, ever rising wages in Europe, along with the pressure to boost labour productivity, has affected capital productivity to an extent that the overall economic productivity has suffered. Low direct investments are one result of a forced policy of high wages, while the slower technological transformation is another consequence of an ill-fated labour market policy. This leads me to my fourth thought. I would like to talk here about capital markets, creative destruction, and ambiguity. Is this decline that we are all encountering day by day unstoppable? Well, we can agree that principally nobody or nothing is unstoppable, as well as the fact that there is no inevitability in history. So what can be done to stimulate technological change? To what extent can Schumpeter’s ideal of market forces, creative destruction, break the European blockade? Technological change happens in large waves of 30 to 50 years. The classical Industrial Revolution, during which cotton plants and blast furnaces substituted traditional production of textiles and metals, was followed by the second Industrial Revolution at the end of the 19th Century with the breakthrough of the electrical and chemical industry. An increase in productivity through technological change came hand-in-hand with a loss of jobs. To cope with waves of creative destruction, flexible labour markets are essential. Roughly 160 years ago, more than half of our forbearers would have been working in the agricultural sector; today, in most OECD countries, 2 to 3% of the overall workforce produces more than enough food for us all. To cope with the loss of jobs, new industries must grow fast enough to re-integrate those workers into the economic process, who have been made redundant through the increase of productivity. Over the last quarter of a century, 35 million workers lost their job in the US, but in parallel, 70 million new jobs have been created, and nowhere else do more companies collapse than in Silicon Valley, one of the most successful industrial regions. This seems not to work for Europe. It is obviously not desired or compatible with the social systems. However, to prevent falling behind even more, another instrument has to be better utilised to compensate the disadvantages as well as possible. Where are new companies set up more frequently and where do established companies create more jobs? Where are all declining industries starved of fresh funds instead of keeping dying firms and declining industries afloat long after their best-by date? It is where capital markets are large and liquid, where risks can easily be traded, where balance sheets are true and transparent, and where financing is diverse. It is there where structural change can succeed, where the established order can be brought into line with new technologies and the new division of labour, and where the political willingness is strong to allow the capitalist system to let creative destruction work its wealth-creating wonders. Willy Sutton, the famous US bank robber, once answered being asked why he was robbing banks: “That’s where the money is!” To foster change, politicians should learn to love the forces of capital markets as well. So let us talk about change forced by capital markets. In 1917, shortly before the end of World War I, Bertie Charles Forbes published his first list of the 100 most important American companies. In 1987, this initial Forbes list was compared with the actual one: 61 companies had not survived; out of the surviving 39 companies, only 18 had managed to remain part of the top 100. They had survived the Great Depression, World War II, the Korean War, the Roaring ’Sixties, the Oil Crisis, the sharp inflation of the ’Seventies. They rode out all the large changes in the chemical, pharmaceutical, computer and software industries, as well as the revolution in the telecom industry. They survived. But they did not fulfil the expectations of the capital markets. Over a period of 70 years, they lagged behind the average return by 20%. Only two of them could beat the capital market average; one of them, General Electric. Another example: when the Standard & Poor index was launched in the ’Twenties of the last Century, its turnover rate was low. If a new company was included, it could look forward to a future membership in the index of 65 years. This number has dropped to ten years in 1998, and in the year 2025 or so, three-quarters of all Index members will be companies that have not been founded yet. This all points to the necessity of abandoning the assumption of continuity. Capital markets are demonstrating the balance between continuity and change. Their constitution only governs entry, conduct and exit. Thus, capital markets behave differently than companies or governments. Companies have a cognitive super-structure. They are run by a board and by managers. They plan and they control. They do not like surprises, change or ambiguity. Survival is high on the priority list. Capital markets, however, produc surprises by providing opportunities to new competitors and by sorting out weak ones. Capital markets, in contrary, do not think, do not plan, do not control, and do not set goals. Because they are not managed in a centralistic manner, they turn towards new options much faster and enforce change more consequent than companies do. Capital markets eliminate bad performance without reflection and remorse and do not tolerate incremental conduct. Capital markets are without fear. They cannibalise mature products. They encourage new distribution systems, and they foster the growth of new business models. If mature companies want to stay competitive, they better align their culture to the speed and consequence of the markets. They must embrace creative destruction and learn to live with ambiguity. European politics will have to do this as well. If nobody wants a reform of the labour markets or lacks the clout to break through the wage cartel, then the forces of capital markets should be the bottleneck and foster change. Easier said than done… which brings me to my last remark, where I would like to talk about the fact that European parish pump politics is blocking capital markets to unfold their full potential. As we said before, Europe is lagging behind. When Europeans in the days of Frederick the Great looked for a particularly preposterous structure to mock, they often turned to the Holy Roman Empire of German nations, a hotchpotch of 1,700 principalities, each with its own court, army and prince, and its hundreds of currencies. Voltaire once said, “Neither Holy, nor Roman, nor an Empire.” There are cynics today who claim that the European capital market is only in marginally better shape: neither European, nor much of a market. They may be right. Europe has lost the decade to integrate and thus improve its capital market due to parish pump politics. The creation of a unified European capital market was intended as a central part of the Single European Act of the European Commission in 1993. Today, it is difficult to remember the sense of confidence, even enthusiasm, that pervaded public debate. Even the often sceptical economists let it be known that this is the decade the European Community was invented for. More than ten years later, the Commission accepts that few of the promised benefits have materialised. The Lisbon Agenda, launched to much fanfare in 2001, contains basically the same list of unfulfilled promises as the SEA. Nowhere has this failure been stronger and starker than in the case of the Continent’s capital markets Instead of a seamless deep pool of liquidity, funding new ventures and fresh investment, Europe still contains a patchwork of national capital markets, each with its own rules and regulations, specific investment culture, unwritten codes of conduct, exchanges, and regulators, if you compare this to the homogenous US capital market. Before I came here, I looked at the opening ceremony of the Ryder Cup, which is now taking place in Ireland, and it was interesting. There was the American team, and they played the national anthem for America, and then there was the European team, and they played the national anthem for the UK, Sweden, Spain, then the European national anthem, and then the Irish one. Now, this is basically the same picture that we see when we look on the capital markets today. Cross-border equity flows are almost always smaller than they should be in order to maximise returns. Given that the European Union has been pushing for greater integration for decades, one should expect that the gap between what economic theory predicts and actual cross-border holdings is smaller there than elsewhere in the world. The exact opposite is true. According to the IMF, cross-border equity holdings within the European Union are even lower than elsewhere, after adjusting for all the other factors that can throw a spanner in the works of international capital flows. This means that the net outcome of the European Union’s effort over the last few decades is actually negative. Controlling for distance and income differences, Australians are more likely to invest in New Zealand than Frenchmen are to ship their money to Germany. In order to understand why such high-flying plans could go so wrong, we have to look at the gritty detail of capital market revelation. There is still no pan-European takeover code. Here, simple political gridlock has stopped all progress. Governments like the German or the French one could not accept the general principles that had been painstakingly negotiated for the takeover code. Both the French and Italian Governments have effectively blocked moves by EU member banks to buy some of their financial institutions and utilities, in the French case, until recently. There is no easy, useful, fully fledged European public company statute either. Or take the Single European Passport, for example – each company operating in capital markets should only be regulated in its home member state, and all others should accept this as sufficient. The principle is almost exclusively honoured in the breach, not in the observance. All member states like the capital market players to be registered and regulated domestically and informal pressures ensure that this is exactly the case. This means that, for example, that the German banks’ French trading operations still have to cosy up to the French regulators instead of just showing the German passport. By sticking to these rather chauvinistic practices, today’s incompatible national regulations are the key driver for higher intra-European trading costs. Cross-border securities transactions cause additional costs of around €5 billion each year. That is money out of the pocket of investors. 80% of these costs are due to the fact that capital market law and tax systems differ substantially in the member states, that there is no European public company statute, that the rules for corporate actions vary widely, and that two of the most important European capital markets – UK and Switzerland – and not yet in the Euro zone. Distinct capital market cultures in the various countries of the Union drives these costs to the same extent as language differences. Given the history, tradition and preferences of investors, issuers and intermediaries, the sort of fully integrated capital market that exists in North America is not within reach. Why all this when, on the other hand, the players, the investors, the issuers, the intermediaries, have successfully embraced the reality of globalisation of a global capital market? The American baseball legend Yogi Berra once joked about a restaurant that, “Nobody goes there any more; it is too crowded.” And in a similar vein, one could say that there is precious little progress in terms of European capital market integration. Too many people are working at it too hard. The reason why the number of players involved is not good news follows from their incompatible agendas. Policymakers in Brussels have talked about the need for an integrated European capital market for a long time. They claim to be keenly aware of the potential economic benefits. Committees filled with the great and good produce a voluminous study every few years, and some rules get changed; yet there is no coherent blueprint of integrating Europe’s markets means. While many initiatives are worthy, there is a key sticking point that is deeply embedded in the way the European Union works; the word is called subsidiarity. As long as most implementation is left to the member states and their regulators, deep integration will remain a pipe dream. Translating European Directives into national laws is cumbersome; more importantly, there is no institutional structure that would ensure consistent implementation across the European Union. The idea behind subsidiarity is to push everything to the lowest sensible level of decision making, but in the area of European capital markets, we should possibly conclude that this level is pan-European, not national. Some are hoping that the Markets in Financial Service Directive, MIFSD in short, will create a seismic shift for the European securities trading industry by November 2007. It remains to be seen if its implementation is watered down again by the usual suspects. I do not know, ladies and gentlemen, whether to offer you a more optimistic conclusion, or a bit more of a doomsday scenario, in my closing remarks, but since nearly everything is multiple choice nowadays, I will give you both! The pessimistic scenario first: do free markets rest on shifting and fragile foundations? The natural consequences of a competitive and transparent market are that they create new risks and destroy traditional sources of insurance. The dark side of risk is invariably experienced in downturns, and the lack of insurance keenly felt then – opposition mounts. Competition naturally distinguishes the competent from the incompetent, the hardworking from the lazy, the lucky from the unlucky. It thus adds to the risk that firms and individuals face subjecting people to a rollercoaster of a ride. Ultimately, most people are better off, but the ride is not always pleasant and some fall off. A competitive capital market not only creates clearly identified losers, it also deprives them from the traditional safety nets. These people or firms become the distressed. The depressed, starving and destitute will have strong incentive to organise and obtain protection through the political system. If they do manage to organise, their demands are likely to turn against the economic system that led to their plight, specifically because these demands coincide with the desires of incumbent capitalists. Will Europe be strong enough to handle this stress test of a unified continental or whole European capital market? Capital markets need political support, yet their very functioning undermines the support. As a result, markets are fragile institutions, charting a narrow path between overwhelming government interference, and too little government support. The greatest danger for a democratic capital market is not that it will lapse into socialism, but that it will revert to the relationship system, suppressing competition under the excuse of reducing risk. When Frederick Von Hayek described about how capitalism helps to safeguard freedom, he emphasised that markets produce spontaneous order. They solve the planning and coordination problem by delegating decisions. To get there, an integrated approach is required which addresses both the incentives of the parties involved and their ability to influence policy against free markets. Measures are needed that would result in efficient but not overly concentrated ownership of productive assets, that instil flexibility in the labour force to adapt to change, that provide a safety net in cases of extreme distress, and that create the external competition here with the United States that will prevent the regulatory apparatus from becoming overly oppressive. Miles Davis, the jazz trumpet titan, once being asked by his fellow band member, John Coltrane, how to come to an end after several inspired choruses of improvisation, replied: “Simply take your saxophone out of your mouth.” With this, I hand over back to Michael Mainelli. Thank you. Werner, what a masterpiece! Ladies and gentlemen, as Gresham College’s Professor of Commerce, it is my great privilege to have the opportunity to thank tonight’s speaker, Professor Werner Seifert, on behalf of all of us. To almost anyone working in financial services, Professor Seifert is a marvel. In a decade, he transformed the very local Frankfurt market into one of the most important exchanges in the world. As a visionary, Professor Seifert floated Deutsche Börse well before its main rivals, the London Stock Exchange, the New York Stock Exchange, and EuroNext. His recent thriller about hedge funds and markets, “Invasion der Heuschrecken” – in English, “Invasion of the Locusts” – also shows that he takes the broad view and the long term view in his novels. He has Farsight. Professor Seifert is challenging us Europeans to change. He is asking us to recognise the importance of the capital markets, but also the relationships between productivity and labour markets, and the challenges we all have to face up to. A recent City of London Corporation report demonstrated that the UK is 24% of global wholesale financial service exports, and wholesale financial services are 1.6% of the EU’s GDP. Fortunately for us, Professor Seifert remains active in a number of professional capacities, for instance, as a member of the Advisory Board for the Monetary Authority of Singapore, and as a Professor for Capital Market Theory at the European Business School. I think we all hope he remains active in helping us here in Europe guide both governments and markets to help our societies prosper. I ask all of you to join me in thanking our special 2006 Sir Thomas Gresham lecturer, Professor Werner Seifert. On behalf of the Provost, the Registrar, and all of us here at Gresham College, may I thank you, the audience, for coming tonight. I hope that those of you who are new to Gresham College found tonight’s events of interest, particularly our fantastic speaker, and our Farsight Awards. I do hope that all of you become, as I have, part of the magical community begun in 1597, over four centuries ago, by that other notable man of commerce and founder of the Royal Exchange, whose legacy still inspires us tonight, Sir Thomas Gresham. I hope to see many of you at Gresham College during the coming months, and all of you here at the Sir Thomas Gresham Docklands Lecture next year.